John R. Noonan | Econsult Solutions, Inc.
John “Jack” Noonan serves as Chairman of American Pathways Regional Center, an EB-5 Regional Center approved by the U.S. Citizenship and Immigration Service, and has over 40 years of experience in commercial real estate development and construction management. Jack’s emphasis has been on highly visible ventures involving urban high-rises, mixed use, residential and hospitality projects. His career experience includes roles of executive level responsibility with a major national developer, construction managers, property management firms, and an international financial institution. Jack has been tremendously successful in Philadelphia real estate development, having led and overseen some of the city’s most acclaimed development projects, including: The Hyatt Regency Hotel at Penn’s Landing, The St. James luxury apartments on Washington Square, The Sheraton Society Hill, The Ritz-Carlton at Liberty Place, and Hilton Hotel in Malvern, PA, as well as numerous other commercial and multifamily properties in and around the Philadelphia region. 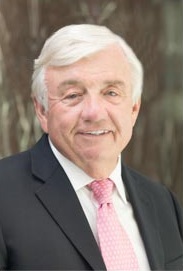 Jack served as the Director of Design and Construction for the Hospitality Group of Rouse & Associates (now Liberty Property Trust) and later became a partner. He was responsible for the design and construction of all Rouse & Associates hotels and conference centers. He holds a Bachelor of Science in Civil Engineering degree from Northeastern University. He is a member of various clubs and institutions, including the Philadelphia Cricket Club, The Union League of Philadelphia and The Ocean Reef Club, Key Largo, Florida. He currently serves as a member of the Penn State Abington Entrepreneurship and Innovation Advisory Board.